Embarrased 2 say I haven't listened 2 the album as of yet, but if I take my father as an example, I'm sure that this new album is excellent. My father is someone who loves good music, but never really understood the genious of Prince. He made a lot of fun of the little master, especially in the time that Prince was in a battle with himself and with his recordlabel (the TAFKAP - years). But it was my father who informed me of Prince's new album, it was he who downloaded it for me at $ 0.99 per song from the NPG website, and it was he who called me again after having heard the album, saying that he now - finally - understood what I had meant all those years about Prince being a musical genious. If that isn't a compliment to Prince, I wouldn't know what is! Check it out! 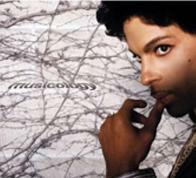 Post a comment on "Prince - Musicology"